Tucked away in the heart of the snow kingdom of Savoie in French Alps territory is the beautiful municipality of Crest-Voland. This delightful spot drips with the authenticity and traditional charm of an unperturbed French mountain village. 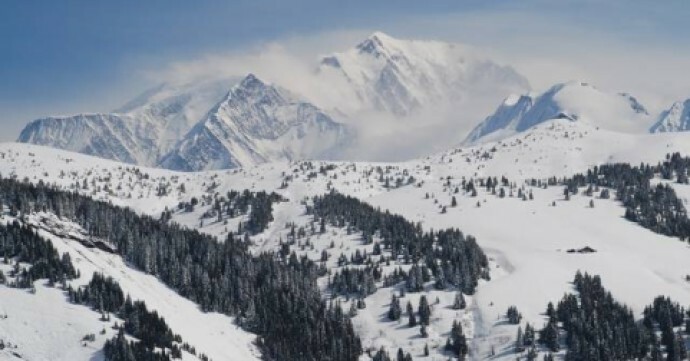 The ideal natural setting on the sunny plateau, sandwiched between majestic pines and evergreen spruce and snowy slopes of the spectacular Mont Blanc, makes the Crest-Voland ski village resort an ideal location for investment. This slice of paradise in the Val d'Arly area of Auvergne-Rhone-Alps is not only a skier's and tourist's delight, but it also offers diverse activities and delectable features that make an investment in Crest-Voland worthwhile. The scenic view, the varied terrain, the wealth of culture, the delightful traditions, the warmth of the people and the diverse tourist, entertainment and residential amenities are a testament to the investment value of Crest-Voland. The Espace Diamant village which brings together various resort areas including Crest- Voland occupies about 192 km of the 9.96 square kilometre surface area of the Savoie region. Although it neighbours Mégève, one of the top vacation mountain resorts in the continent, this seductive little secret continues to build its reputation and may soon tower over other famed resorts, just like the highlands surrounding it. The hidden treasure at the core of Savoie is home to close to 400 inhabitants. The people there are as charming as the village, living in a tight-knit community. The setting spurs memorable family moments and thrives on the magic of generations learning from one another. The older generations pass on their folklore, traditions and culture. They bond with their children over skiing and other fun activities, teaching age-old survival and environmental preservation techniques. These teachings also benefit tourists and non-natives who wish to join the community. The warm-temperate climatic conditions are suitable for both summer and winter activities. The weather supports various events and festivals run throughout the year. The crisp mountain climate and snowfalls are perfect for the December to April winter fun. The sunny days allow exploration of folklore and alpine flora and fauna and support events like the car rally of Val d'Arly. The area’s altitude range of between 1000-2096m offers a varied terrain of elevations and slopes, perfect for a ski course for any interested party. 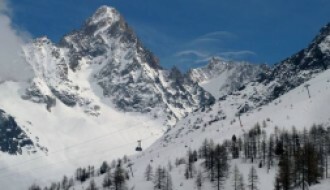 A good number of ski lifts guarantee breath-taking views of the entire alpine expanse. Young children have special kids’ parks and fun zones like Foret des Elfes, their own pistes, lifts, and fun activities at Crest-Voland resort. The skiing novice learns on the resort’s gentler slopes near the village. Conversely, the connoisseurs and professionals challenge themselves with various cruising terrains (e.g. the Perdix) or sledding vertical descents of up to 400 meters. 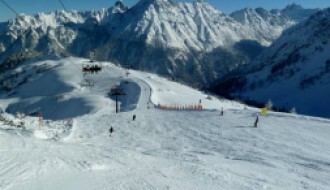 Also available is the day-long, full ski route around the mountain complete with a tranquil lunch. If preferred, there is the option of doing a different part every day. Whichever you choose, you are sure to experience unforgettable moments enjoying the varied majestic scenery. A variety of other winter activities such as skibob, orienteering, paret sledging, various games, and adventure trails, snow factory, mills, and other winter-site visits are also available. Adjacent villages in the Val d'Arly diversify them further by adding snow bikes, scooters, and sled dogs, among others to the list. There are always snow cannons and artificial snow to guarantee snow availability and coverage, although these are rarely needed as Crest-Voland often averages around 85cm of snow at valley level in winter. For up to date snow and weather reports, take a look at our Crest-Voland resort guide here. Crest-Voland also offers summer activities like paragliding, fishing and more adventure trails for hikers and explorers. Residents and tourists can experience the diverse gastronomy in restaurants at the base of the resort, within the village or up in the mountain slopes. Local delicacies, various cheeses, wines, and homemade desserts allow visitors to discover a unique and exceptional taste of France. Crest-Voland boasts of an incredible location with warm, culture-rich people, diverse year-round activities and favourable weather. Thus, it continues to grow in popularity as a tourist and investment destination. Investments are currently being made in the area by property investors to increase the amenities and facilities available to the resort’s local population and their visitors. They are increasing or upgrading resort facilities such as ski lifts, gyms, indoor pools and saunas. Crest-Voland is 70km (a 90-minute drive) from Geneva airport. 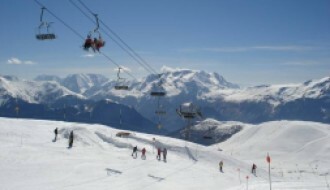 Road transport links are available from popular surrounding spots like Les Saisies, Megève and Albertville. There is also a train from Albertville and other major cities. There is a special ‘Je ne sais quoi’ about Crest-Voland that is evident to all who set foot there. The various activities, accommodation options, the people, the culture, and that well-preserved village charm and are clear indications of the immense tourism and investment potential in the area.